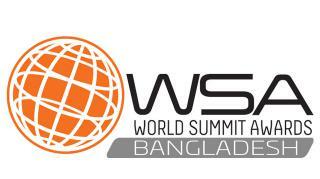 Registration from Bangladesh for the World Summit Award-2012 has started. Registration from Bangladesh for the World Summit Award-2012 has started. This registration and qualification work will be done jointly by the World Summit Award and Bangladesh Institute of Information Technology MCC Limited in Bangladesh. Selected initiatives will be nominated directly from Bangladesh to participate in global competition. The main objective of the World Summit Award is to recognize the highest quality digital application initiative through creating new and convenient opportunities for all the world's IT technologies, making them accessible and accessible to the people. MCC said it was informed that the government, private, technology-based organizations or individuals will be able to take part in it. Projects related to mobile and web-based apps, SMS-based products, mobile games, interactive mobile content, artificial intelligence, IOT will be adopted. The link can be applied until August 10.